On September 12, 2003 Riverbend talks about reading a blog called Turning Tables written by an American soldier and how he “somehow puts a human face on the troops in Iraq.” This is exactly how I feel as I’m reading Riverbend’s blog. A glimpse at the “other side.” I think it’s relevant to add here that I’m a veteran of the Iraq War-Operation New Dawn; my unit was among the last to be drawn out just a few months ago. I agree with some things Riverbend says and other things completely infuriate me. And what makes me most angry is that I’m not even sure why it’s infuriating to me. Maybe because after reading her account, what the hell were we doing in this country? Even though I have to agree with her that the US troops’ invasion in Iraq was not justified, I can’t say we didn’t accomplish something there. Call me naïve, but despite the fact that so many civilians despised our presence, I’d like to think our “occupation” did some good. I’m not defending the actions of the soldiers from early in the occupation, such as the horrifying raids and lack of judgment and professionalism. The soldiers in Iraq were there because they were told to be there, they were tossed into a foreign country into a complete culture shock and given guns, ammo, and lenient instructions. The soldiers knew there were innocent civilians and they knew that there were terrorists. What they didn’t know was how to tell the difference between the two. The most unfortunate part of this early “occupation” was that there was no strict Standard Operating Procedure (SOP) for the soldiers to follow. 18 and 19 year old soldiers were fed the same media news we were fed back home, except they were put behind destructive, area-target weapon machine guns. They were shot at and they shot back. One thing that Riverbend stresses in her blog is that even though she’s against the occupation, she is on the side of humanity. She takes pity on the US troops pulling security in the sun in full gear, hydrating with warm water. She recognizes the tragedy of 9/11 for the horrific loss of 3,000 human beings. A big thing she said that struck me was “American long-term memory is exclusive to American traumas” (Riverbend 48). And how can one argue with that? 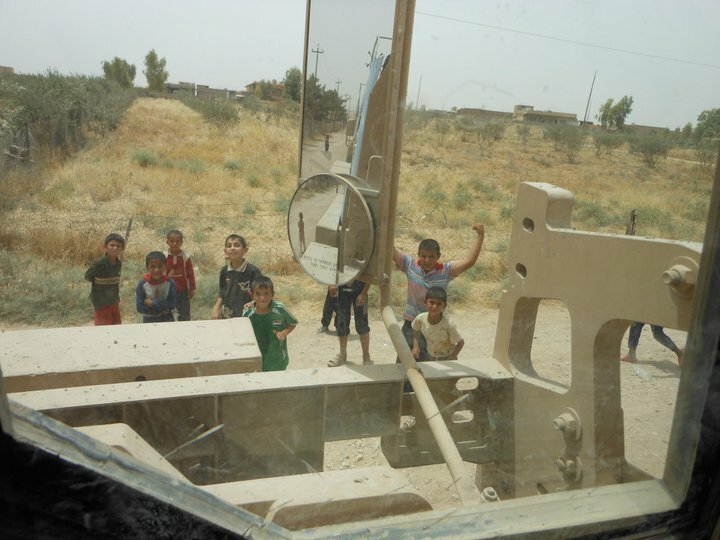 From my experience, the Iraqis were excited with our presence. On a mission that brought one of our squads to a small village, we were welcomed with a sprawled out lunch of goat legs and fresh fruits (which was considered a huge deal). 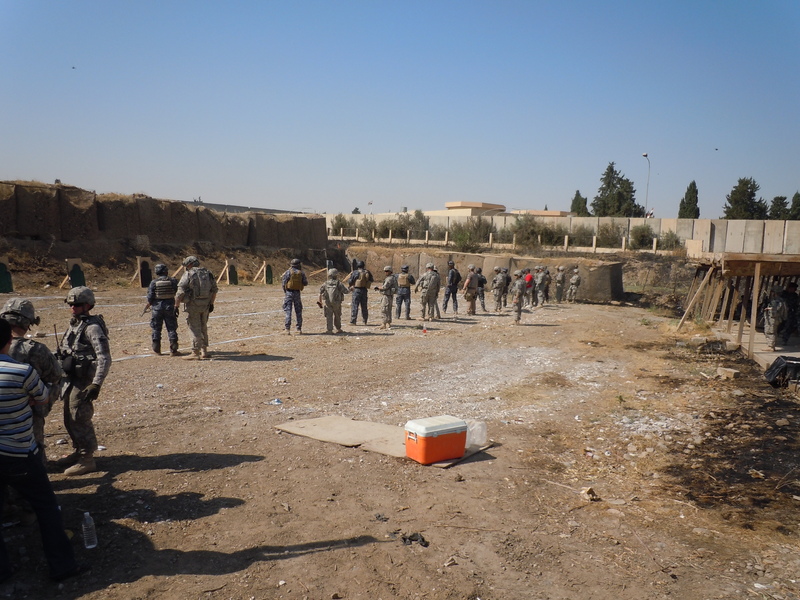 One of my main jobs was to work with and help train the Iraqi police. As far as my unit goes, we trained IP recruits to operate the AK-47 weapons and to recognize Improvised Explosive Devices (IEDs) I’ve been doing my best to keep up with local news in Iraq and even though there are still a significant number of security risks within the country, Iraqi Police have become more successful in finding IEDs and applying successful security measures in those situations. Riverbend’s account is completely fascinating to me. I read about her culture and feel honored that I got experience part of that. I wish that I had read her blog prior to my deployment, I would have had a better sense of their culture and their thoughts. On another level, some things Riverbend went through were horrific and my experiences cannot even compare to the terror of hers. I empathize greatly with her, and that’s one thing this blog has done for me: “put a human face” on Iraq. I was there for about 9 months and although we experienced water and electricity shortages every so often, it was nothing compared to the hardships Riverbend and her family had endured for years. 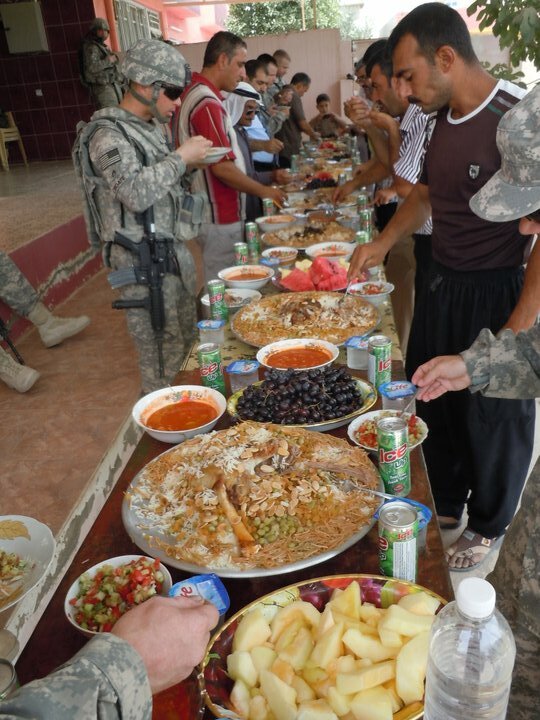 So many American soldiers have been lost in the war in Iraq, but so have so many innocent Iraqi civilians. Her words best describe my reaction to her blog, “mixed feelings in a messed up world” (Riverbend 15). I’d like to think that even though our government placed US troops in Iraq for about a decade, that it wasn’t all in vain. Because whether or not the US government was justified in sending troops into Iraq, all gave some and some gave all. Both innocent civilian Iraqis as well as our own American Soldiers. This entry was posted in Baghdad Burning by eringutekunst. Bookmark the permalink. Thanks for sharing your experiences with us, Erin. Another invaluable addition to the big picture of “how to read” the many narratives emanating from our time in Iraq. One of the most interesting aspects of this class is that I have been able to work with someone so closely who has her own first hand experiences with the people from Iraq. My father is also in the military and has been deployed to Iraq. He remains narrow minded on the subject and has not been exposed to texts such as Baghdad Burning which give the perspective of a civilian living in the horrific times of war and occupation. I believe it is easier for many soldiers to draw a bold line between themselves and the “other”. Of all the texts we read in this class I appreciate Baghdad Burning by far the most for exactly the reason you say; Riverbend’s accounts helped me broaden my perspective of the war, rather than continue to think so narrow mindedly. I see more of the side of humanity in a war rather than “all of us” versus “all of them.” I think, unfortunately but understandably, for the most part the bold line you mention between the soldier and the “other” isn’t one the soldier draws for himself or herself, it’s a line that serves as a skill of survival. It’s a reminder to expect the worst but hope for the best.